Just two weeks after the red band trailer debuted, Warner Bros. has released a slew of new photos for Get Hard, arriving in theaters March 27. The upcoming comedy brings comedy superstars Will Ferrell and Kevin Hart together for the first time, with the story of one man who will do whatever it takes to survive in prison. Etan Cohen, the screenwriter behind Idiocracy, Tropic Thunder, Men in Black 3 and the upcoming Scouts Vs. Zombies, makes his directorial debut with Get Hard. 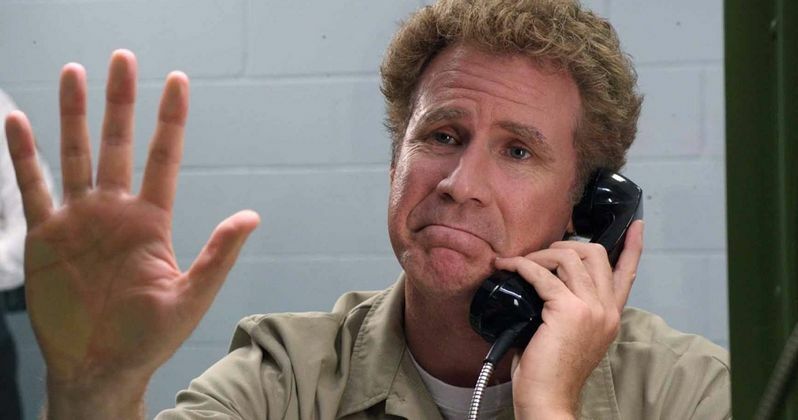 When millionaire hedge fund manager James (Will Ferrell) is nailed for fraud and bound for a stretch in San Quentin, the judge gives him 30 days to get his affairs in order. Desperate, he turns to Darnell (Kevin Hart) to prep him for a life behind bars. But despite James' one-percenter assumptions, Darnell is a hard-working small business owner who has never received a parking ticket, let alone been to prison. Together, the two men do whatever it takes for James to "get hard" and, in the process, discover how wrong they were about a lot of things - including each other. The supporting cast is rounded out by Alison Brie, T.I., Paul Ben-Victor, Vanessa Amaya and Taryn Terrell in what could be the first big comedy hit of 2015. Do you think Get Hard has what it takes to bring in the big bucks at the box office later this month? Take a look at the photos and chime in with your thoughts below.